He traces his lineage to Sayyidi Abdullah Ibn Mawla Idris who is buried in Fes, the son of Mawlana Idris the conqueror of the Maghrib, son of Mawlana Abdullah al-Kamil, son of Mawlana al-Hasan al-Muthanna, son of Mawlana al-Hasan al-Sibt, the son of Imam Ali and Mawlatana Fatima al-Zahra, the daughter of the Master of the worlds, Salutations and Blessings be upon Them. He was born in the village of ‘al-Saaf’ in the area of Tetuan on Saturday the 15th of Shaban in the year 1347. He migrated with his father and rest of the family to the city of Tangiers (Tanjah) whilst not 10 years of age. He memorized the Noble Quran at an early age whilst still a child with his Sheikh Abd al-Salam al-Shaqaq, along with reciting it with a number of other specialists in recitation. He studied the sacred sciences in the mosques of Tangiers for a period of 8 years, all of which involved a indepth study of a number of texts with the major scholars of the city and those scholars who passed through it. Allamah Muhammad al-Sukayrij ‘al-Muqni’ in the science of ‘Tawqeet’ and some books of literature. Allamah Muhammad al-Sahili al-Wasini the ‘Tawhid Ibn Ashir’, the ‘Risalah al-Qayrawani’ and some tafsir. Allamah al-Haaj Abdullah bin Abd al-Sadiq: ‘Alfiyyah Ibn Malik’, the ‘Muwatta Malik’, ‘Risalah al-Qayrawani’, ‘Mukhtasar al-Khalil’ with the commentary of al-Dardir, ‘Tuhfah Ibn Asim’, ‘Jam al-Jawami’ and ‘Nur al-Yaqin’ in Prophetic biography. Allamah Abd al-Hafidh Kanun: ‘Al-Sanusiyyah’ in Tawhid, ‘Risalah al-Qayrawani’ twice, ‘Mukhtasar Ibn Abi Jamrah’, ‘Sunan Ibn Majah’ until the chapter of marriage, and some parts of ‘Sahih al-Bukhari’. Allamah Ahmad Bu Hussein: Tafsir until Surah al-Maida, ‘Al-Jawhar al-Maknun’ in Balaghah. Allamah Abdullah Kanun: ‘Al-Waraqat’ in Usul of Imam al-Haramain. 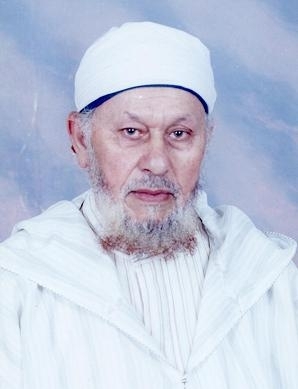 Allamah Muhammad Muntasir al-Kattani: ‘Al-Waraqat’, ‘Al-Bayquniyyah‘, ‘Nur al-Yaqin’ and five volumes (ahzab) of tafsir. Allamah Abd al-Salam al-Khanus: ‘Al-Ajrumiyyah’, ‘Alfiyyah Ibn Malik’, ‘Al-Murshid al-Mueen’ a number of times, ‘Risalah al-Qayrawani’ once, ‘Ibn Bari’ in the recitation of Nafi, a portion of the ‘Al-Shatibiyyah’, ‘Al-Hamziyyah’ of al-Busiri with the commentary of Banees, ‘Lamiyah al-Afal’, ‘Al-Sullam’ in logic and the introduction of ‘Jam al-Jawami’. Allamah Abd al-Aziz bin Siddiq: ‘Sunan al-Tirmidhi’, ‘Alfiyyah al-Iraqi’, ‘Nukhbah al-Fikr‘, ‘Tafsir al-Jalalain’ until Surah al-Hud, aswell as hearing from him some of the books of hadith. Allamah Abd al-Hayy bin al-Siddiq: ‘Nukhbah al-Fikr’, ‘Miftah al-Wusul’ and a portion of ‘Subul Salam’ and ‘Al-Jawhar al-Maknun’. Allamah Muhammad al-Zamzami bin al-Siddiq: ‘Bulugh al-Maram’ and a portion of ‘Lub al-Usul’, and heard from him a number of his public lessons. Allamah al-Mukhtar al-Hassani: ‘Al-Muqni’, ‘Al-Risalah al-Maraniyyah’ in astronomy and al-Tawqeet. His stay in Fes was not lengthy due to the instability created by the french colonial occupation. After this he travelled to ‘Silaa’ where he studied with Hafidh Abil Fayd Ahmad bin Siddiq, he read to him some of the books of hadith and benefitted greatly from him on the science of hadith until he left for Egypt for the last time. Teaching: Sh Abdullah al-Talidi after his period of studying stayed mainly in the confines of his home, spending the time studying various Islamic sciences, languages, history and philosophy. He has a natural inclination towards the sciences of hadith, tafsir, fiqh and tasawwuf. He has a mosque in which teaches the various Islamic sciences and delivers the friday sermon for more than 25 years. He has delivered lesson to students in the mosque of Sayyidi Bu Ubaid and Bu Iraqiyyah for some time, aswell as delivering lessons in Tetuan, Marteel, Shafshawan, al-Nazur and many other villages. In addition he has had the privilege of teaching in the Masjid al-Nabawi al-Sharif for a number of years during the season of Hajj aswell as a number of countries of the Arab world such as Iraq, Kuwait and Algeria. Sh al-Talidi states that he is Salafi in Aqidah and in terms of his fiqh is upon the madhab of the people of hadith, along with respect for the rest of the Imams and scholars. He supports and ascibes himself to the true Sufi’s and calls to their being followed, whilst at the same time disavowing the false claimants to sufism. 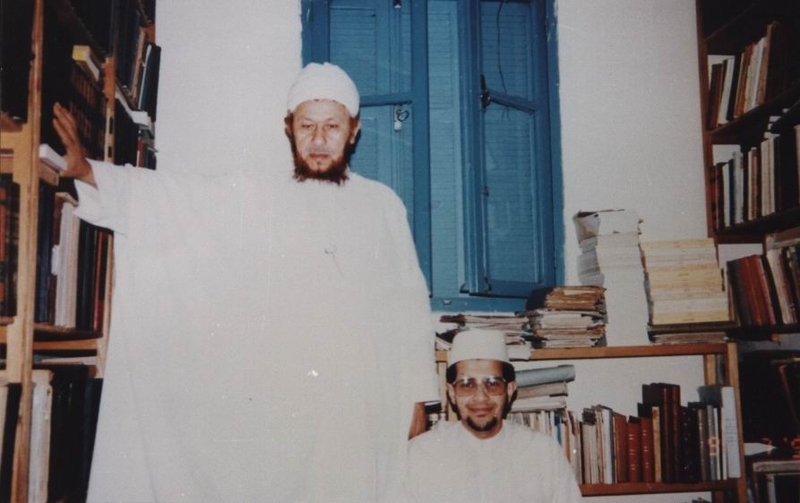 Brother I am absolutely delighted that you have posted this biography of Shaykh Talidi! May Allah Ta’ala reward you. I would like to inform you that his book “al Anwar al Baahirah fi Fadaa’I’ll Ahlil Bayt an-Nabawi wa Dhurriyyatit-Taahirah” has been published by Daar ibn Hazm! I have a request; I intend to translate the above book, which I found amazingly beneficial. I request your permission to use this biography InshaAllah!